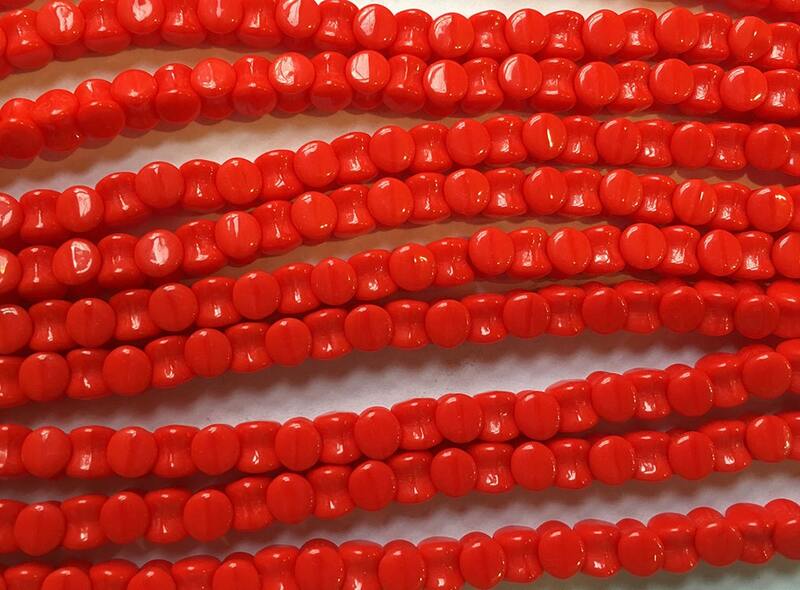 Opaque red Preciosa Czech pressed glass 4x6mm pellet beads. Strand of 30 beads. Pellet beads have one hole and are cylinder shaped with a tapered center which gives them an interlocking effect.